ZIP files are simply collections of one or more files that have been digitally compressed to reduce their file size.  By compressing the size of those files and then bundling them together into one single file called a ZIP file you make it easier to upload and download your files. A compressed file will download and upload much faster thereby saving you time. 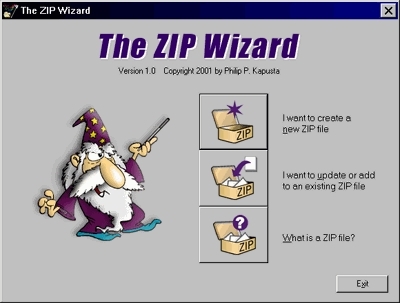 There have been many formats for compressing files over the years but the most common format is ZIP.The ZIP Wizard is the program of choice to create these ZIP files. The ZIP Wizard is by far the easiest to use ZIP utility available. The Wizard knows his stuff and he will be happy to step you through the ZIPping process. The friendly (and cute) ZIP Wizard interface will make you feel confident that your files are being ZIPped up correctly. Its as simple as: 1) Choose the files you want to ZIP up... 2) Give your ZIP file a new file name... Thats it! Presto! Like magic your files are ZIPped! You can even send your ZIP as an email attachment right from within The ZIP Wizard interface!